I found that the full nail shields are a little tricky to use with almond nails, hence the bit of bleed through. I think I've figured out how to work with the shape a little better for future manis. 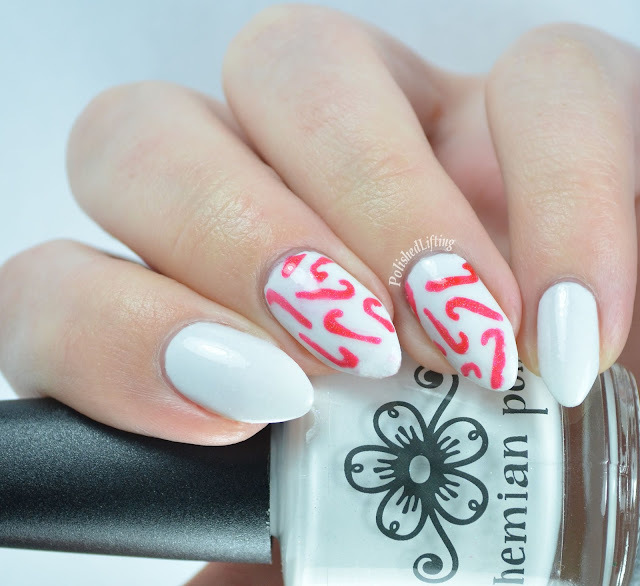 Have you ever used nail vinyls? Which ones are your favorite? I'm Courtney - I'm a polish enthusiast, cat lover, and I'm a wee bit smitten with powerlifting.